If you’re a newcomer to photography, or even dare I say it, not a professional photographer, researching rolling camera bags is probably not at the top of your to-do list! I admit to wondering why so many photographers would use these weird two wheeled contraptions, especially when there are so many great looking regular camera bags available. Pulling my camera gear behind me in a bag just didn’t seem convenient. Surely having it all on your back, or even on one shoulder was the best way to carry?! Check out my top pick! Even if you’re not in the market for a rolling camera bag, I recommend you read this guide. Seriously, if you carry more than one camera body regularly, a bag with wheels could be the best decision you ever make for your back. We’re all aiming for longevity in this career, so let’s take a quick look at my selection of the best ‘rollers’ of the year. The purpose of this post was not to find one single rolling camera bag that’s better than all others. 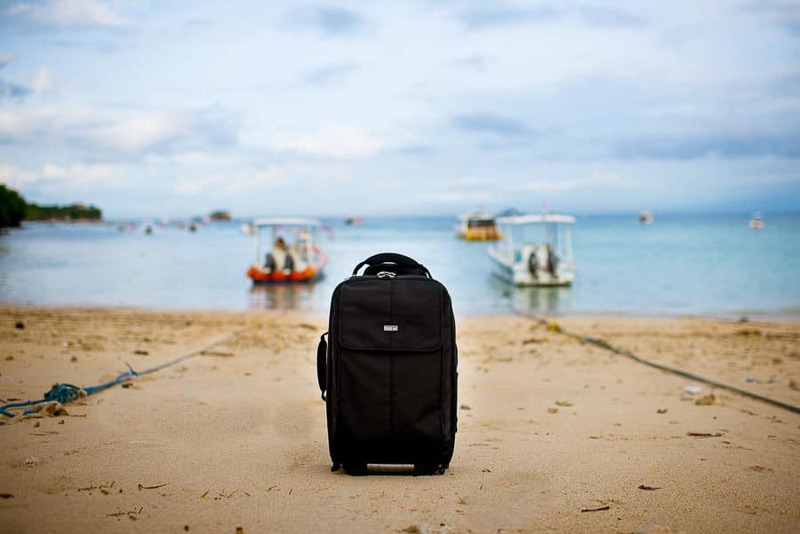 This would be impossible, since everyone’s needs are different – the rolling camera bag that is heavy and impractical for one photographer for example, may be the perfect shock-resistant, durable rolling camera bag for another. Instead, what I am aiming to do is to showcase what are in my opinion the best rolling camera bags on the market this year. 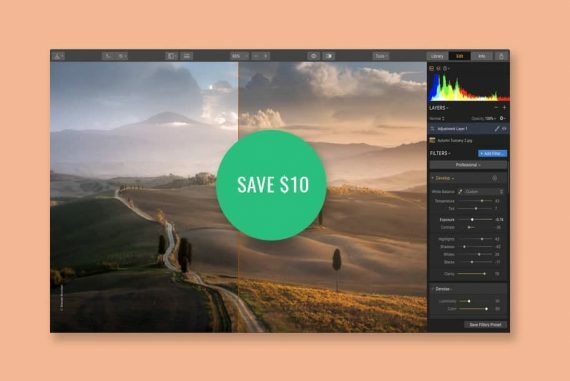 They all have slightly different uses and you’ll have to assess your needs first before making a decision about which is right for you, but they all excel in doing their job of allowing you to store and roll your camera gear. Why Use a Rolling Camera Bag? 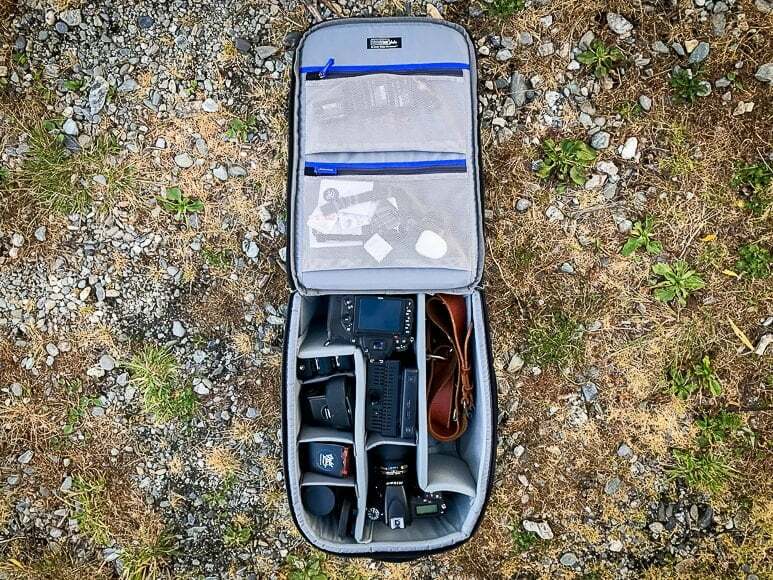 Before I get into this roundup of the best rolling camera bags, it might be necessary to explain a little why a roller is such a great option for carrying and storing your camera gear. I used to wonder why photographers would choose to use unattractive, unwieldy rolling camera bags in favour of good-looking camera backpacks or shoulder camera bags. The first time I tried to travel overseas with my camera backpack, my opinion quickly changed. On the US flights that had no carry-on luggage weight limits, my back was still breaking after picking up, putting down and carrying 10kgs+ of gear. On other flights with stricter limits, I was forced to split my gear into two bags, one carried on my back, the other either in my hand or slung off a shoulder. Then I realised the obvious – having a rolling camera bag dedicated to carrying camera gear was literally and figuratively a huge weight off my back. No longer would I attempt to squeeze all my camera/non-camera gear into one backpack, but rather, I’d have my camera gear in the rolling camera bag and my clothes in another bag. If I ran into issues at the check in desk, I could shuffle items around so that my most important camera gear could travel next to me as carry on in the rolling camera bag, and I could check in my clothes and non-breakable camera gear. 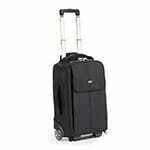 The rolling camera bag would allow me to breeze around the airport in comfort whilst protecting everything within it. Seriously, if you’ve never used rolling luggage for your camera gear, you’re missing out on the most comfortable and efficient travel. At home when not in use, I like how my camera gear is stored neatly arranged in my rolling camera bags with everything visible when the front flap is open. 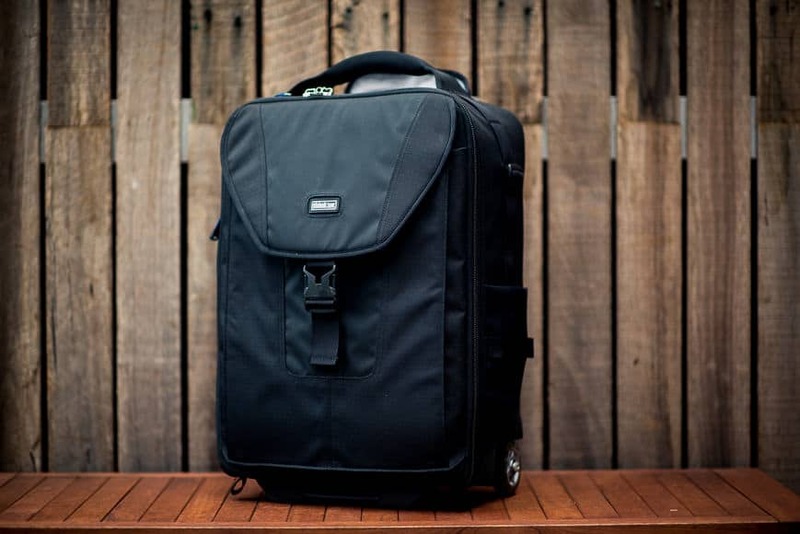 My first foray into rolling camera bags was the Think Tank Airport Take Off (reviewed below. Choosing Think Tank was a no-brainer for me – their quality, guarantee and functionality is unrivalled. Sure, there may be many more attractive camera bags out there, but the serious pro’s choice is and will always be Think Tank products. After a year of use, I realised that almost half of my carry on weight limit (7kg in Australia) was being taken up by the bag itself. The backpack straps of the Think Tank Airport Take Off do sometimes come in useful, but they also add to the weight. +6 batteries, gels, business cards, and other small knick-knacks. The Think Tank Airport Advantage has customizeable Velcro padding which allows you to set up the interior as you like. One small issue which stems from the Think Tank Airport Advantage’s size/weight advantage is that around the edges, the depth varies (due to the positioning of the wheels/carrying handle). However, with some creative positioning of your gear, there’s usually a way to work with this. In my case, I place my flashes so that the lower ‘pointed’ portion sits in the lower ‘well’, with the upper area supported by the higher ‘wall’. The Think Tank Airport Advantage also includes two interior zippable semi-transparent compartments. The quality of both the zips and the plastic is excellent. I particularly like the detailing on the zip enclosure which allows the metal part of the zip to be tucked away to prevent any scratching of your camera gear when the lid is shut. As for how the Think Tank Airport Advantage rolls, well I can’t imagine it being any better. It’s smooth, stable and rugged – the wheels are the kind of high-density plastic you’d find on inline skates, meaning the Think Tank Airport Advantage will glide like ice over an airport floor as well as skipping confidently over rougher outdoor surfaces. The biggest advantage of the Think Tank Airport Advantage is its size and weight. 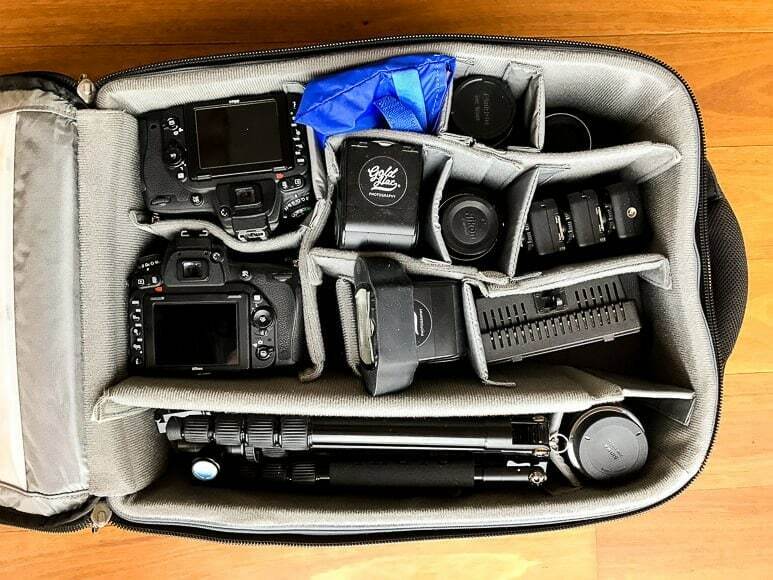 Several of the Think Tank rolling camera bags are sized to pass through carry on limits, but their weight will often mean you’ll need to compromise on camera gear. The Think Tank Airport Advantage is currently the lightest Think Tank rolling camera bag, and possibly even the lightest available by any manufacturer in 2019. 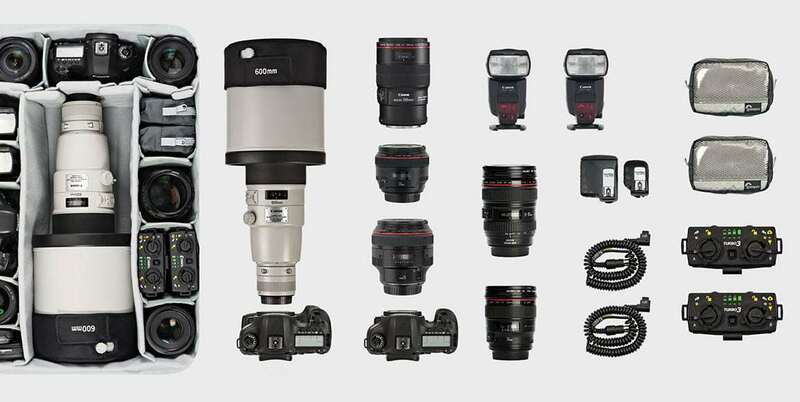 The size may not be enough for those of you who like to carry a gear armada, but conversely, you may appreciate the limits which force you to really think about the camera gear you need. Even my selection of gear above isn’t all 100% necessary – the tripod and light panel for example is only used for 1% of the wedding, often not at all. A smaller bag can encourage you to really think about your gear choices, allowing you to be more free and efficient on the day of the shoot. Rolling camera bags need to be able to take some abuse in those worst case scenarios where you are forced to check them in at the airport. The Think Tank Airport Advantage is the perfect balance between protection and size/weight. If you’re in the market for a rolling camera bag that’s a practical size/weight and is guaranteed to last forever, I highly recommend you consider the Think Tank Airport Advantage. 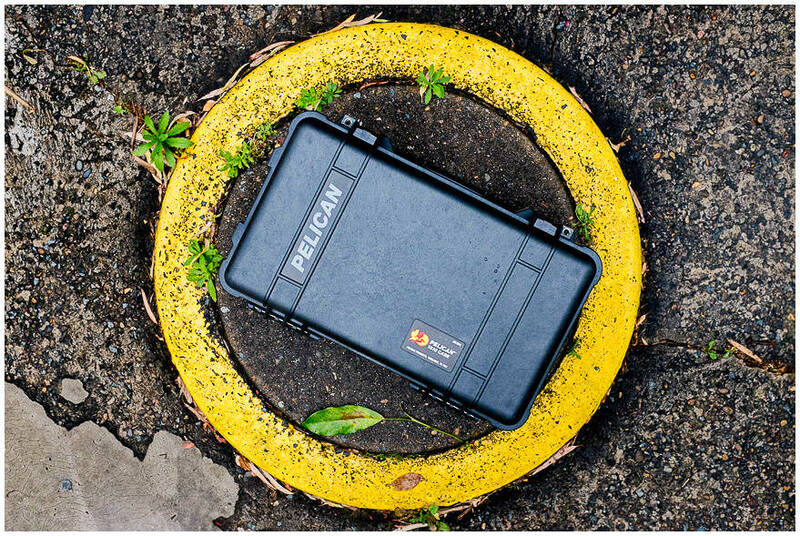 For those photographers who need the strongest camera cases to survive virtually any level of abuse, Pelican has long been the no.1 name in the industry. Aside from those few travelling photographers whose gear needs to be frequently protected from the sea and general rough handling, many photographers choose Pelican rolling camera bags solely based on their look and feel. Alike G-Shock watches, the chunky, ruggedness of Pelican cases is rather appealing to us photographers. In addition, knowing that if in that 0.1% chance we are in the middle of a war zone, it’s nice to know that at least our camera gear would be protected! Out of all the Pelican rolling camera cases, my favourite by far is the Pelican 1510-SC (reviewed in depth here). If you’re in the market for an incredibly strong rolling camera bag which is also a 100% waterproof camera bag, the Pelican 1510-SC is the perfect balance between size, weight, strength and functionality. The ‘SC’ in its name refers to ‘Studio Case’, in that the Pelican 15010-SC houses a little surprise in its lid. 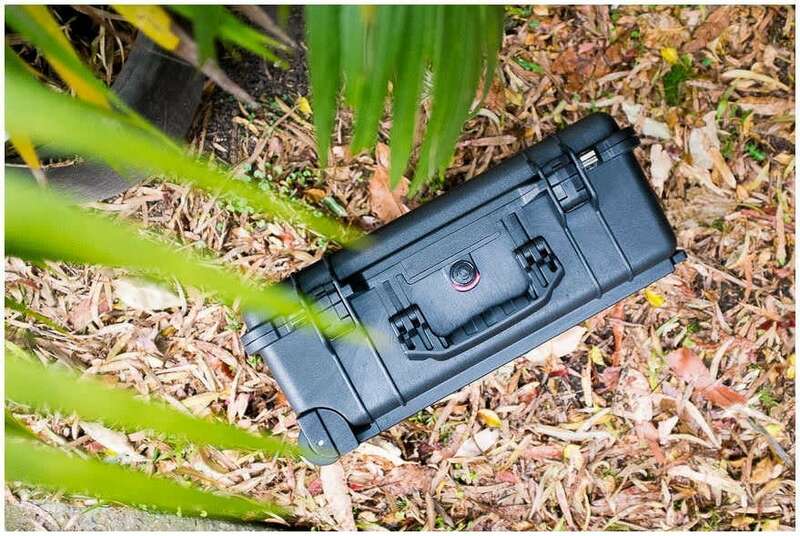 Aside from the usual customizeable velcro compartments which allow you to position your camera gear where you want it, the lid of the Pelican 1510-SC features a padded laptop case and another padded soft case for more accessories. 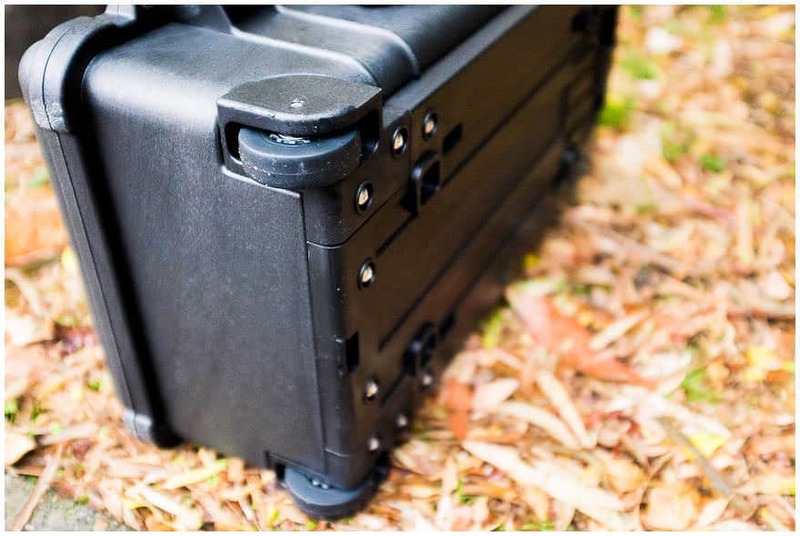 Those who’ve used Pelican rolling camera cases before know that they are quite basic – not basic in a bad sense, but rather, they only feature the bare necessities to get the job done. That’s why having the additional padded compartments in the lid of the Pelican 1510-SC is so refreshing. 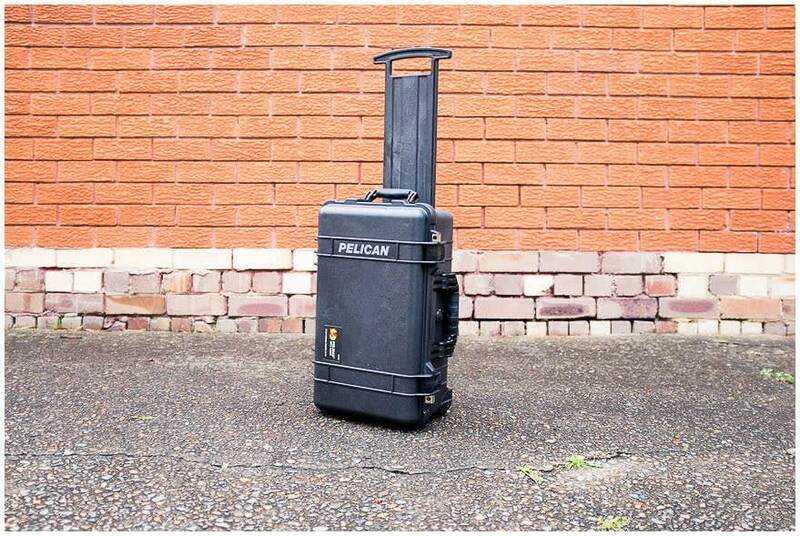 It’s like Pelican has finally realised photographers might want to carry something other than cameras and lenses in their rolling cases! As for the way that the Pelican 1510-SC rolls, well let’s just say it’s solid. The handle is made from a single piece of high-density plastic, with no moving parts to bend, break or scratch. It’s either up or down. I found the length of the handle only just enough for my frame (194cm tall with long limbs) – the heels of my feet would occasionally tap the front of the case, but not enough to annoy me. The wheels are also made from super-tough plastic, and roll easily over most surfaces. They’re the kind of wheels that you could never image breaking as they’re so solid and… basic. The real draw card of the Pelican 1510-SC and many other Pelican products is the air-tight sealing when the latches are closed. And just how satisfying it is to snap close those latches! It’s like you’re locking the doors of a space shuttle, with a two-position locking mechanism which gives you the confidence that your gear is locked away from both the air and water. The Pelican 1510-SC offers waterproofing for submersion up to 1 metre for 30 minutes, but since the bag would immediately float to the surface, this pressure rating isn’t so important. Where it does come in handy though is in a plane’s cargo hold, where the outside air pressure won’t wreak havoc with any sensitive camera gear inside, thanks to the the built in pressure equalisation valve. This level of ruggedness comes at a price of course – there’s no denying that the Pelican 1510-SC is a heavy rolling camera bag. 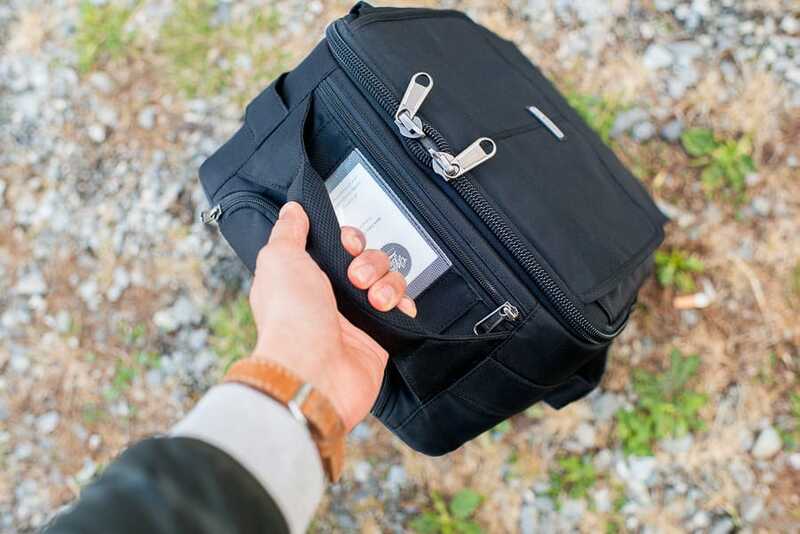 If you intend to check-in the Pelican 1510-SC, or if your airline is lenient with carry-on weights, this won’t be an issue for you, but for everyone else, consider that the Pelican 15010-SC may be over half your weight allowance. The bottom line is, if you’re travelling to a tropical island for your photography work, you’d feel nervous to see your camera bag wedged under 20 others on the bow of the boat, being splashed by the waves. Whilst there are several backpacks with wheels (check the best camera backpacks of 2019), there’s a big difference between a camera bag with wheels and a rolling camera bag that has backpack straps. The Think Tank Airport Take Off is the latter, and this is important. In this roundup of the best rolling camera bags, I only wanted to showcase hard-bodied rolling camera bags – not merely any old camera bag with wheels. In my mind their usage is completely different. The Think Tank Airport Take Off is a rare breed of hard-bodied rolling camera case that can also be carried comfortably as a backpack. The backpack straps are far from being an after-though – they are a well-thought out solution for when the ground gets too rough to pull the Think Tank Airport Take Off using its wheels. I’ll be honest – in the one year that I used the Think Tank Airport Take Off for my wedding photography, I probably used the backpack straps at less than 5% of the weddings. However, for those few weddings, I was truly thankful that I wasn’t struggling to drag my heavy gear over sand or worse-still, hand-carry it over rocks. I also used the Think Tank Airport Take Off as a backpack whenever I needed to travel by scooter to a wedding – this was actually the main reason why I wanted my rolling camera bag to have backpack functionality, and I highly recommend this method of carrying if you use similar transport. Destination wedding photographers in Bali for example will love this! The back-straps on the Think Tank Airport Take Off are well hidden behind a strong flap when not in use. Half the flap is made from softer nylon to allow it to be folded, and the other half from tough, scratch-resistant plastic for protection. When the camera straps are exposed, the flap folds down underneath the bag and is held in place by strong velcro. The back-panel under the straps features padding to ensure a comfortable fit when the Think Tank Airport Take Off is carried as a backpack, and the straps themselves are padded and even feature a handy sternum clip. Speaking of comfortable straps and handles, the padding on the hand grips of the Think Tank Airport Take Off really are second to none. They are spongey but still remain grippy, and are a pleasure to grasp. 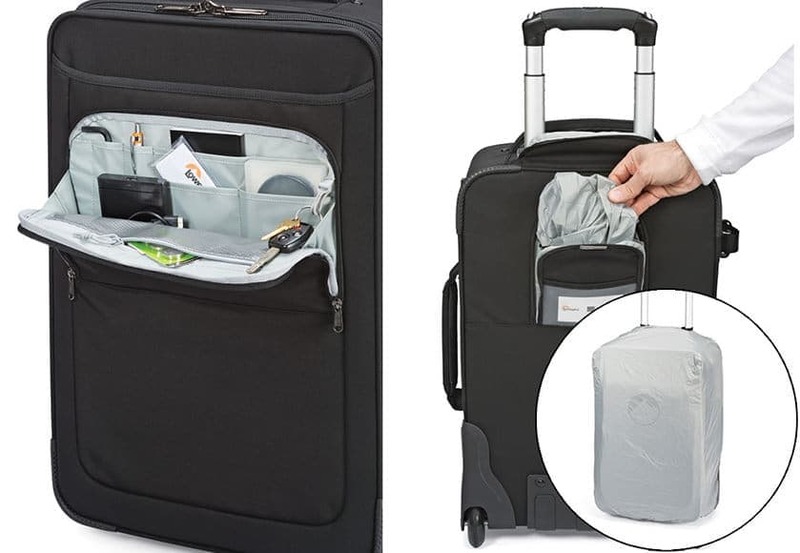 The front laptop compartment on the Think Tank Airport Take Off is so big in fact that you’ll be able to fit in those ageing 17″ laptops some of you may still be using! Or, like me, you’ll be carrying a 13″ Macbook Pro, wireless keyboard, mouse and a couple of paper back books for the flight. Like all Think Tank products, the Think Tank Airport Take Off is built to last your lifetime as a photographer. Part of the price of Think Tank products is due to their no-question-asked lifetime guarantee. If you invest in a Think Tank Airport Take Off, it will literally outlive you. Other nice features of the Think Tank Airport Take Off include a weather proof cover, a tripod/monopod cradle/strap and a built in cable lock. If someone really wanted to steal your camera gear, a quick snip with a wire cutter would be all it took, but for the odd situation at a shoot when you want to leave your gear while you go to the toilet, this cable lock really is useful – just thread it through the zippers on the Think Tank Airport Take Off and around a heavy table leg or other immoveable object. Other nice details common to Think Tank rolling camera bags include a business card/name plate holder at the top of the bag, tough YKK zippers with pull handles for cold-weather use, a cover for the extendable handle when not in use, and tough, canvas hooks on the bag – I use these to thread bungee cords through when I’m attaching the Think Tank Airport Take Off to the back of my scooter. The extendable handle is the same as on the other Think Tank rolling camera bags, and it’s smooth, strong, lightweight and quick/easy to extend/retract. I’d like it to be an inch longer for my lanky frame, but I’m just nit-picking here. 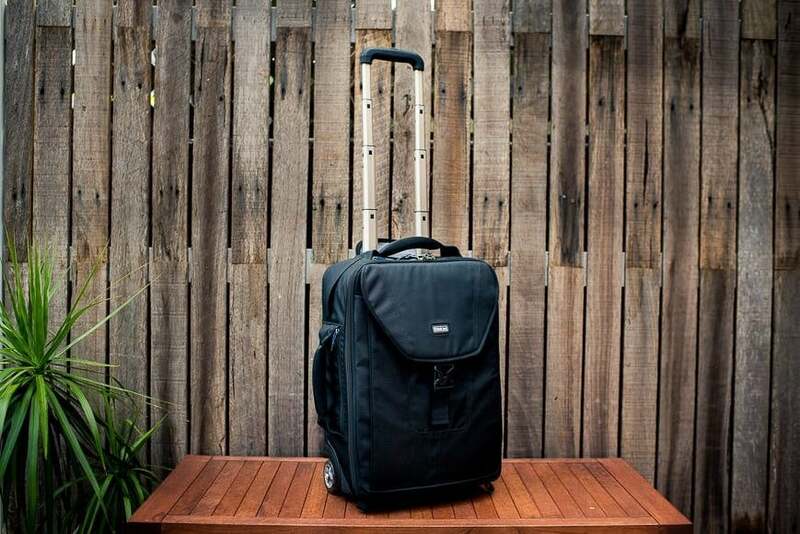 The bottom line is, if you’re on the fence in buying a rolling camera bag as you’re worried it may limit you to usage over smooth surfaces only, the Think Tank Airport Take Off with its excellent backpack convertibility should be on your radar. It really is impressive, and had it not been for the more light-weight Airport Advantage (reviewed above), I’d still be pulling it behind me to every shoot. ‘Multi-purpose’ may be a bit of a vague description in this list of the best rolling camera bags, but you’ll see what I mean when we take a closer look at the rather unusual Lowepro Pro Roller x200 AW. Starting first with the regular features of the Lowepro Pro Roller x200 AW, the build is excellent as with all Lowepro products. As with most other rolling camera cases, the Lowepro Pro Roller x200 AW remains relatively stealthy in its appearance, just looking like a regular suitcase to the untrained eye. This should give you the peace of mind that it won’t attract any unnecessary attention, despite its undoubtedly expensive contents – i.e. your camera gear! The TSA approved locking zippers are a nice touch, allowing you to breeze through customs. As with the Think Tank rolling camera bags, the wheels on the Lowepro Pro Roller x200 AW are excellent, made from durable urethane which glide smoothly with minimum vibration when the surface isn’t airport terminal-flat. 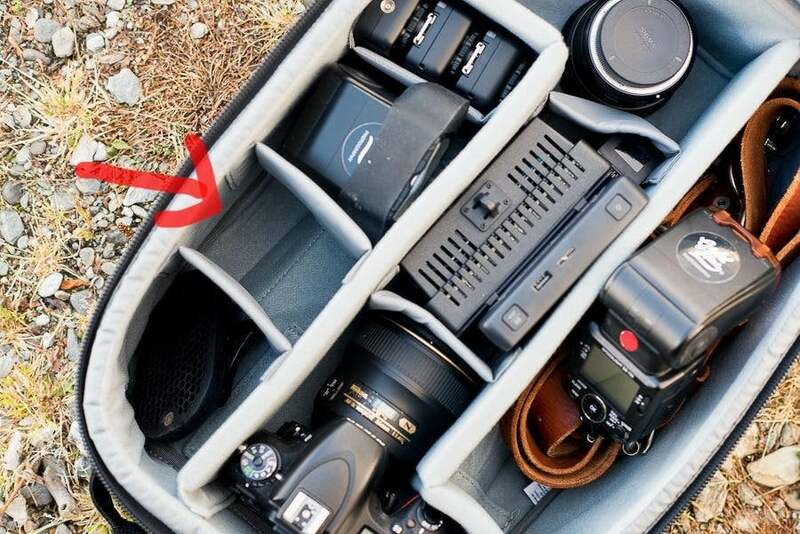 The interior features padded, velcro dividers as we’ve come to expect on most rolling camera bags in 2019. It’s clear that the Lowepro Pro Roller x200 AW is a very spacious rolling camera case for its carry-on ready size. This is due in part to the patented MaxFit technology which is best explained in the video below. The real trick up the sleeve of the Lowepro Pro Roller x200 AW and the reason for its inclusion in this round up of the best rolling camera bags is something Lowepro has named the Reserve Park. With a quick unzipping from the exterior case, all your items are now contained in a handy backpack. 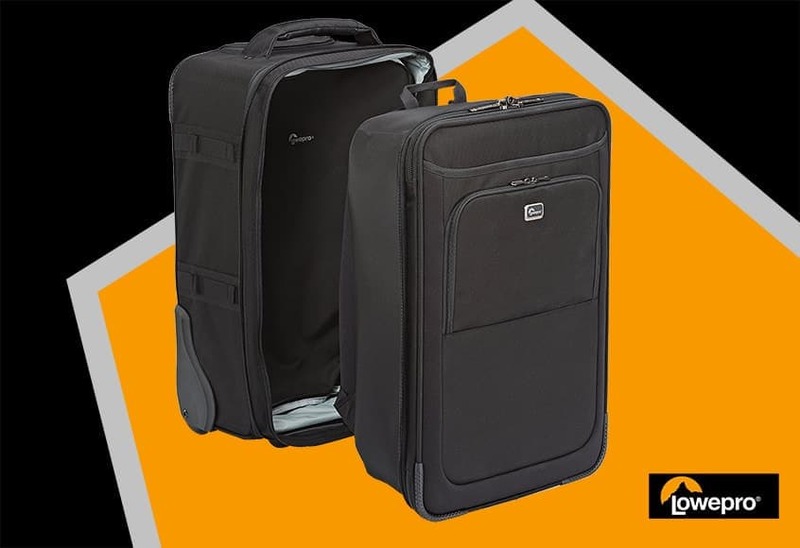 This proves invaluable when you’re stopped for overweight carry-on luggage at check in when traveling – by shedding the exterior shell of the Lowepro Pro Roller x200 AW, you’re able to shave off valuable pounds, allowing you to squeeze under your weight limit. Another usage might be before a shoot, whereby you can leave the somewhat cumbersome rolling portion of the Lowepro Pro Roller x200 AW in your car, while you don the Reserve Pack and carry it as a backpack over rough terrain to your location. Having these two very different carrying options make the Lowepro Pro Roller x200 AW truly multi-functional and one of the most innovative rolling camera bags I’ve come across. One small caveat – the Reserve Bag isn’t intended for prolonged usage. There’s no padding on the rear of the pack, and the straps are quite basic. If you’re after a true rolling camera backpack, I’d still recommend the Think Tank Airport TakeOff (reviewed above), despite it being heavier. Other neat features on the Lowepro Pro Roller x200 AW include an all weather cover that can be deployed in an instant from a back pocket to protect your gear from the elements. Also, the ‘no-drop’ front organization pockets allow you to really organise your travel items and have them all close to hand. 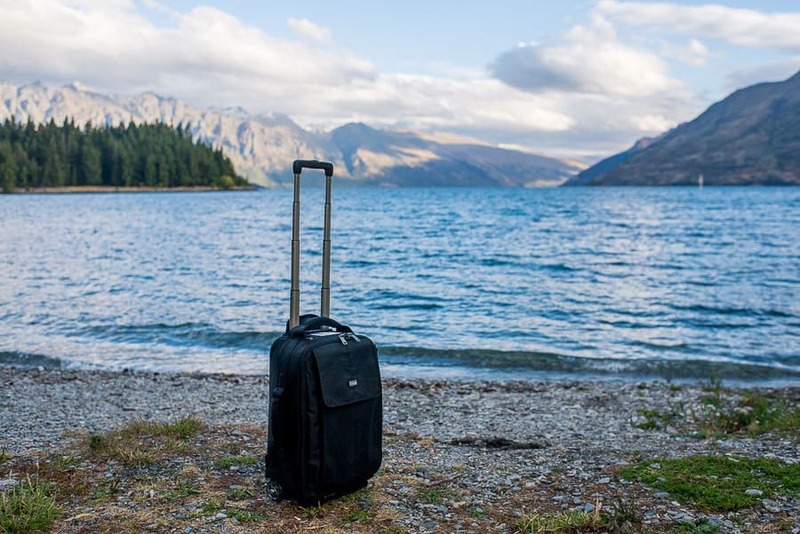 The detailed organization options for your non-camera gear (passport, travel documents, keys, business cards etc) on the Lowepro Pro Roller x200 AW really are superior to the other rolling camera bags in this round up. Even the interior zippable pockets provide plenty of organisational space, allowing you to divide up your belongings for ease of access. 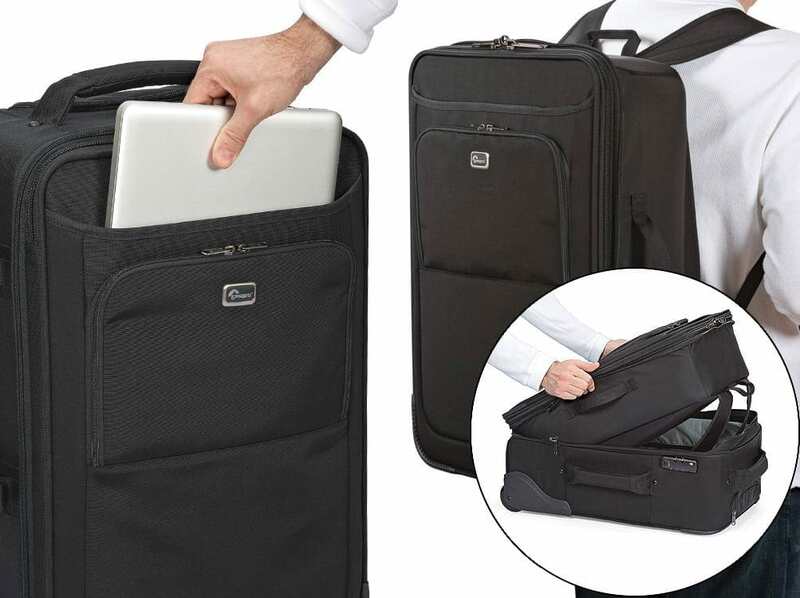 Finally there’s a solid, lightweight extendable handle, tripod carrying straps for the side of the case, a laptop sleeve and comfortable hand grip for when you need to hold the Lowepro Pro Roller x200 AW like a suitcase. It’s easy to see why the Lowepro Pro Roller x200 AW is so popular (check out the numerous five star reviews here), and the competitive price tag makes it a very attractive option. 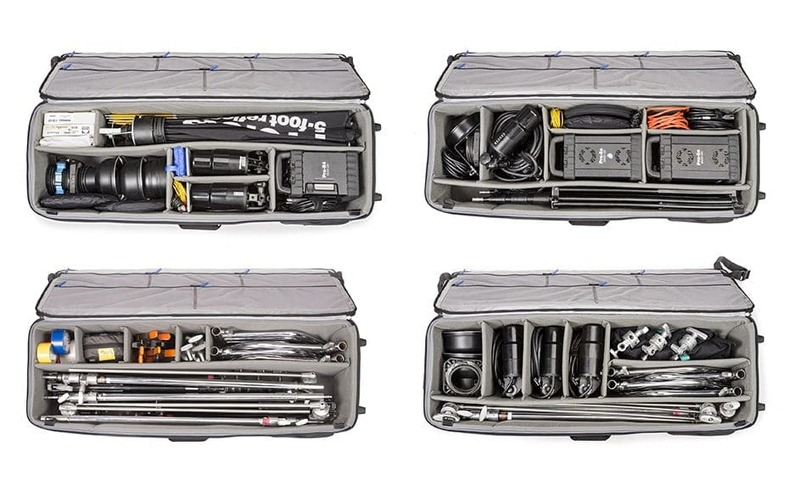 Now we’re getting into more specific rolling camera bags meant for larger scale productions where lighting gear needs to be transported securely and efficiently. If you’re a photographer who needs to travel with an Elinchrom, Broncolor, AlienBee or any of the other semi-portable studio-lighting setups, you’ll need a larger rolling camera bag such as the excellent Think Tank Production Manager 50. 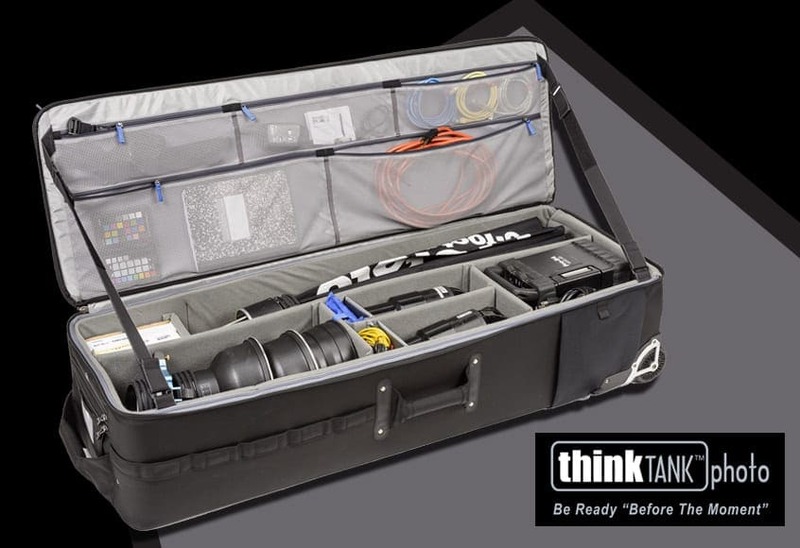 As the largest of Think Tank’s rolling cases, the Think Tank Production Manager 50 has a very specific usage – that is, to be crammed full of gear to fly to a larger scale production. 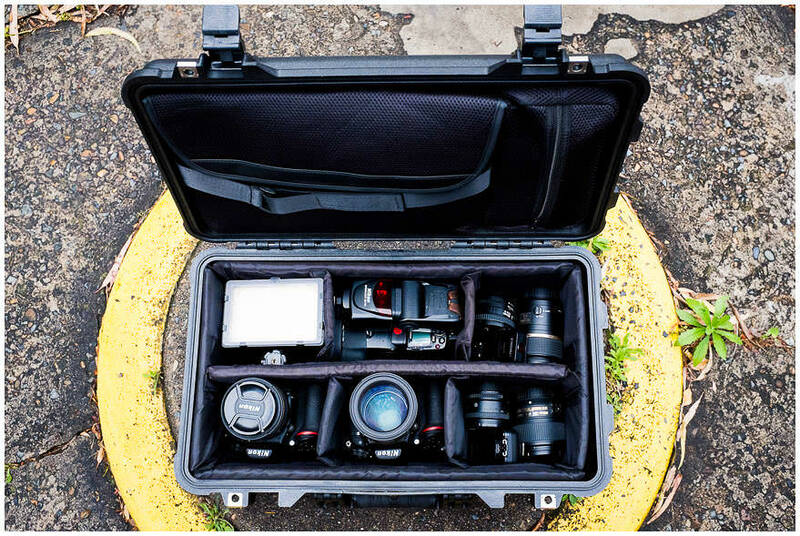 The numerous padded velcro dividers do of course allow you to organise your cameras and lenses in the case, but the real usage of the Think Tank Production Manager 50 with its deeper ‘wells’ is to transport lighting gear. An example carry load would be 3-4 flash heads, 2-3 power packs, monoblocks, umbrellas, large softboxes and large light stands of C-stands. Clearly, the Think Tank Production Manager 50 when fully loaded is going to be rather heavy, which is where the durability and strength of Think Tank products really comes into play. 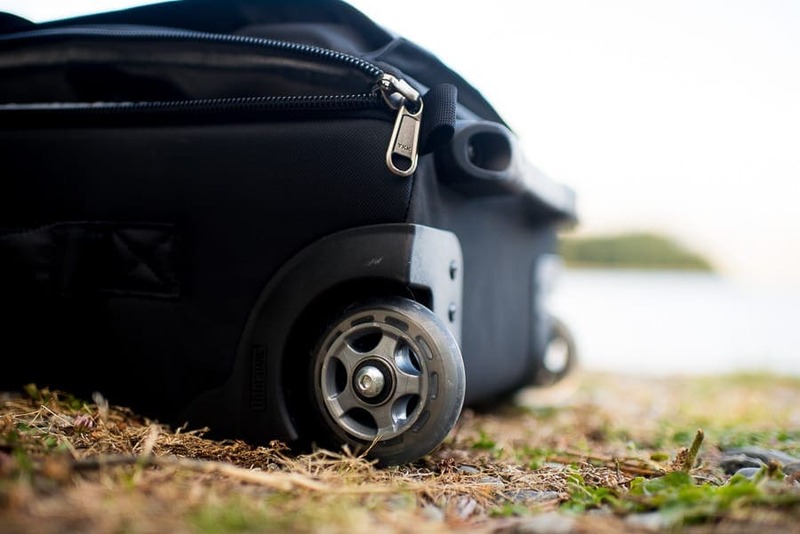 Instead of the standard urethane wheels as seen on the smaller Think Tank rolling camera bags, the Think Tank Production Manager 50 features custom, shock-absorbing wheels that are wide-set to minimise the bag flipping when pulled. The wheels actually flex when the bag is pulled over bumps, ensuring a smooth a ride as possible for your gear. 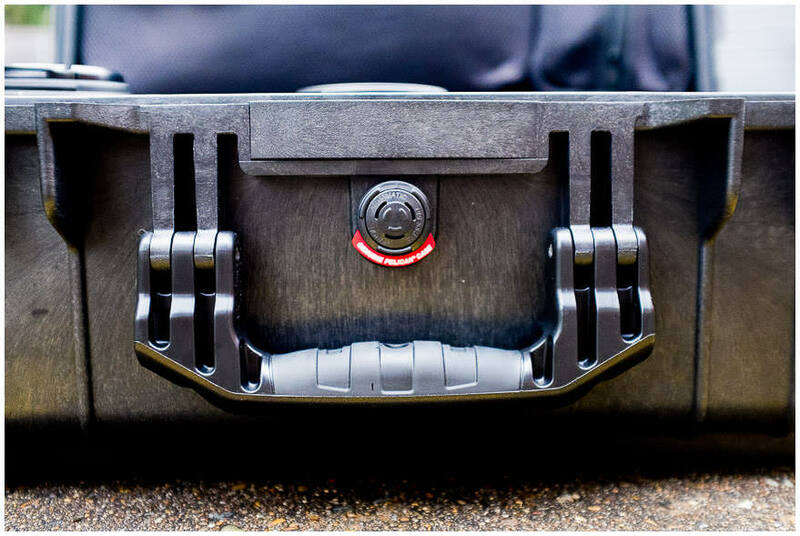 The back of the case features protective skid rails for added protection when the Think Tank Production Manager 50 is transported, whilst allowing you to load and unload the case from a vehicle with ease. 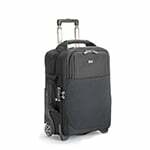 Heavy duty, cushioned handles on all four sides allow the case to be carried rather than pulled when necessary. The ergonomic top handle is wide enough to allow two people to roll the case at the same time for when the load becomes heavier. The combination of rigid shell and stiffened dividers ensure security and protection for fragile lighting gear, and high quality materials such as YKK RC Fuse zippers, 1680D ballistic nylon and super-stick velex ensure the longevity of the Think Tank Production Manager 50. Other features include light stand holders on both sides, a cable lock, multiple interior pockets, an ID plate for user-registration, user replaceable wheels and hardware, and stands so that the lid remains open, allowing you to add and remove gear quickly and easily. There’s even a (giant!) seam-sealed rain cover, ensuring that your precious lighting gear can be protected from all elements. 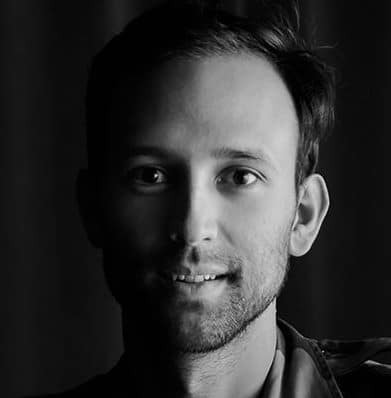 As I mentioned at the start of this review, the Think Tank Production Manager 50 is a niche product for photographers who need to transport larger lighting equipment. There’s not a great deal to the case, but it does its job of carrying and protecting fragile items perfectly. As I mentioned at the start of this review, rolling camera bags may not be on your radar right now, but at some point in your photography journey they’re likely to start looking very attractive indeed! Being able to effortlessly pull your camera gear behind you, rather than lug it around on your body, really is a liberating experience, especially if you shoot in warmer climates. Whatever your decision, I hope you enjoyed the roundup – I’ll be adding to it over the course of the year, so be sure to check back for the newest additions. Do you have any recommendations on good rollers that I missed? do you use any of these bags to store your gears at home? have you ever use dry cabinet? any tips in keeping camera and its kits? I use the Think Tank Airport Advantage to store my gear, Fitra. 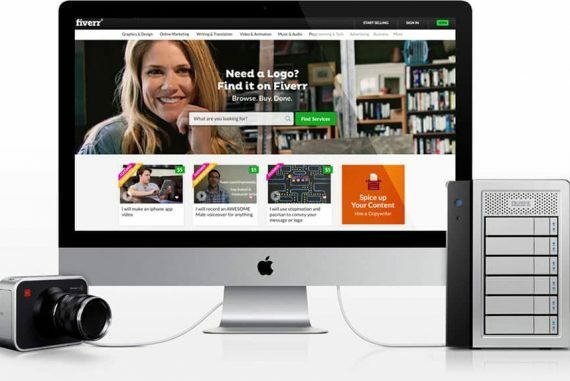 Fabulous blog – thanks so much for sharing it with us. Ah very nice Paul! Certainly does look like you can cram more in it than the size suggests. Thanks for sharing it. Impressive for a bag that looks quite small! I’ll see if I can get hold of one to review for this post – thanks Paul! I’ve had the ThinkTank Airport International for about a year and I can’t say enough good things about it. I keep it stuffed to capacity with gear and fits in the overhead compartment perfectly. Amazing bags! Ah yes, I did think about including the International V2 Brian. The only issue is that it’s not carry on size for all airlines so I hesitated. Excellent bag though! 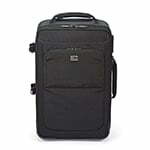 I use the Think Tank Airport International because I’m a wedding photographer this bag is amazing. I can carry several items including the following. Traveling is easy with this bag and I can use as a carry on. The bag has lasted me several international trips and is still going strong. I highly recommend using the Think Tank International. Hey Anna, thanks so much for the input! Have you travelled outside the US with it as carry on? Great stuff, I recently picked up a Think Tank Airport Advantage for a trip to Southeast Asia. The itinerary included several flights on regional jets, and not once did I have any issues. There were a few longboat rides when I wished for the durability of a Pelican, but for the most part, the Airport Advantage performed perfectly. Not to mention that there was no way a Pelican hard case was getting through as a carry on. 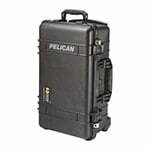 Have you had any experience with the Pelican 1535? It’s a few pounds lighter than 1510, and I’m thinking it might be a good alternative when absolute protection is more of a concern than size/weight restrictions.